Cannabis has been making a lot of noise lately. Multiple states across the United States and countries around the world have successfully legalized medical Marijuana, and the Uruguay parliament recently voted to create the world’s first legal marijuana market. This is good news as the health benefits of Cannabis are vast, with multiple medical and scientific studies that confirm them. On the other hand, arguments against the use of marijuana are usually published in Psychiatric journals, which show no scientific evidence that Cannabis is harmful to human health. All psychological evaluations from the intake of cannabis are largely based on assumptions, suggestions and observations (1). When we look at the actual science behind Cannabis, the health benefits can be overwhelming. So what does one who opposes the use of cannabis base their belief on? Nothing, not scientific evidence anyways. The negative astigmatism attached to marijuana is due to its supposed psychotropic effects; yet again, there is no scientific evidence to show that marijuana has any psychotropic effects. Nonetheless, cannabis has recently been the focus of medical research and considered as a potential therapeutic treatment and cure for cancer. Cannabis is a great example of how the human mind is programmed and conditioned to believe something. Growing up, we are told drugs are bad, which is very true; however, not all substances that have been labelled as “drugs” by the government are harmful. Multiple substances are labelled as a “drug” in order to protect corporate interests. One example is the automobile and energy industry, a car made from hemp is stronger than steel, and can be fueled from hemp alone. Henry Ford demonstrated this many years ago. Hemp actually has over 50,000 uses! Let’s take a look at the science behind Cannabis and Cancer. Although Cannabis has been proven to be effective for a large range of ailments, this article will focus mainly on its effectiveness in the treatment of cancer. Cannabinoids may very well be one of the best disease and cancer fighting treatments out there. Cannabinoids refer to any of a group of related compounds that include cannabinol and the active constituents of cannabis. They activate cannabinoid receptors in the body. The body itself produces compounds called endocannabinoids and they play a role in many processes within the body that help to create a healthy environment. Cannabinoids also play a role in immune system generation and re-generation. The body regenerates best when it’s saturated with Phyto-Cannabinoids. Cannabinoids can also be found in Cannabis. It is important to note that the cannabinoids are plentiful in both hemp and cannabis. One of the main differentiations between hemp and cannabis is simply that hemp only contains 0.3% THC while cannabis is 0.4% THC or higher. (Technically they are both strains of Cannabis Sativa.) Cannabinoids have been proven to reduce cancer cells as they have a great impact on the rebuilding of the immune system. While not every strain of cannabis has the same effect, more and more patients are seeing success in cancer reduction in a short period of time by using cannabis. While taking a look at these studies, keep in mind that cannabis can be much more effective for medicinal purposes when we eat it rather than smoking it. Below are 20 medical studies that prove cannabis can be an effective treatment and possible cure for cancer. Please keep in mind that this is a very short list of studies that support the use of medicinal marijuana. Please feel free to further your research, hopefully this is a good starting point. 1. A study published in the British Journal of Cancer, conducted by the Department of Biochemistry and Molecular Biology at Complutense University in Madrid, this study determined that Tetrahydrocannabinol (THC) and other cannabinoids inhibit tumour growth. They were responsible for the first clinical study aimed at assessing cannabinoid antitumoral action. Cannabinoid delivery was safe and was achieved with zero psychoactive effects. THC was found to decrease tumor cells in two out of the nine patients. 3. A study published in The Journal of Pharmacology And Experimental Therapeutics already acknowledged the fact that cannabinoids have been shown to possess antitumor properties. This study examined the effect of cannabidiol (CBD, non psychoactive cannabinoid compound) on human glioma cell lines. 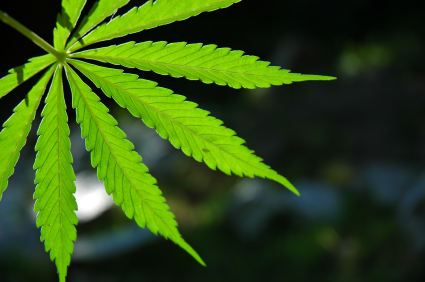 The addition of cannabidiol led to a dramatic drop in the viability of glioma cells. Glioma is the word used to describe brain tumor. The study concluded that cannabidiol was able to produce a significant antitumor activity. 4. A study published in the journal Molecular Cancer Therapeutics outlines how brain tumors are highly resistant to current anticancer treatments, which makes it crucial to find new therapeutic strategies aimed at improving the poor prognosis of patients suffering from this disease. This study also demonstrated the reversal of tumor activity in Glioblastoma multiforme. 5. A study published in the US National Library of Medicine, conducted by the California Pacific Medical Centre determined that cannabidiol (CBD) inhibits human breast cancer cell proliferation and invasion. They also demonstrated that CBD significantly reduces tumor mass. 7. A study published in the journal Molecular Cancer showed that THC reduced tumor growth and tumor numbers. They determined that cannabinoids inhibit cancer cell proliferation, induce cancer cell apoptosis and impair tumor angiogenesis (all good things). This study provides strong evidence for the use of cannabinoid based therapies for the management of breast cancer. 10. A study published by the US National Library of Medicine by the Institute of Toxicology and Pharmacology, from the Department of General Surgery in Germany determined that cannabinoids inhibit cancer cell invasion. Effects were confirmed in primary tumor cells from a lung cancer patient. Overall, data indicated that cannabinoids decrease cancer cell invasiveness. 15. A study published in the journal Molecular Pharmacology recently showed that cannabinoids induce growth inhibition and apoptosis in mantle cell lymphoma. The study was supported by grants from the Swedish Cancer Society, The Swedish Research Council and the Cancer Society in Stockholm. 18. A study published by the US National Library of Medicine results show cannabinoids are potent inhibitors of cellular respiration and are toxic to highly malignant oral tumors. 20. A study published in The American Journal of Cancer determined that cannabinoid receptors are expressed in human pancreatic tumor cell lines and tumor biopsies at much higher levels than in normal pancreatic tissue. Results showed that cannabinoid administration induced apoptosis. They also reduced the growth of tumor cells, and inhibited the spreading of pancreatic tumor cells. Arjun Walia writes for collective-evolution.com where this article first appeared. NextWill You Be Ready If The Grid Goes Down?